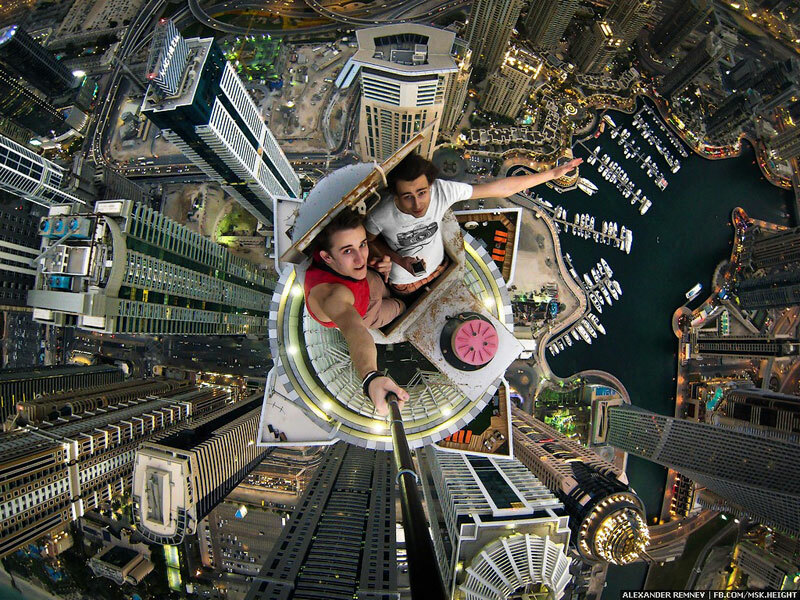 On a recent trip to Dubai, rooftopper and photographer Alexander Remnev took this dizzying selfie from the top of the Princess Tower, the tallest residential building in the world. The Princess Tower is 101-storeys and stands 414 meters (1,358 ft) tall. The nineteen-year-old photographer, who was on holiday with friends, explored as many rooftops as he could. You can see the complete photo series on his LiveJournal blog.